In a bowl we mix the minced meat with the salt, the pepper and 1-2 tbsp of water. We leave the bowl in the fridge. We cut the onions in slices. In a large pan we add the olive oil and as soon as it gets hot we add the onions and we season with salt. We lower the heat and we cook the onions until they are soft. Before we turn down the heat of the pan, we add the honey and the balsamic vinegar. In the meantime as the onions are caramelised, we form the minced meat in 2 burgers and we grill them. 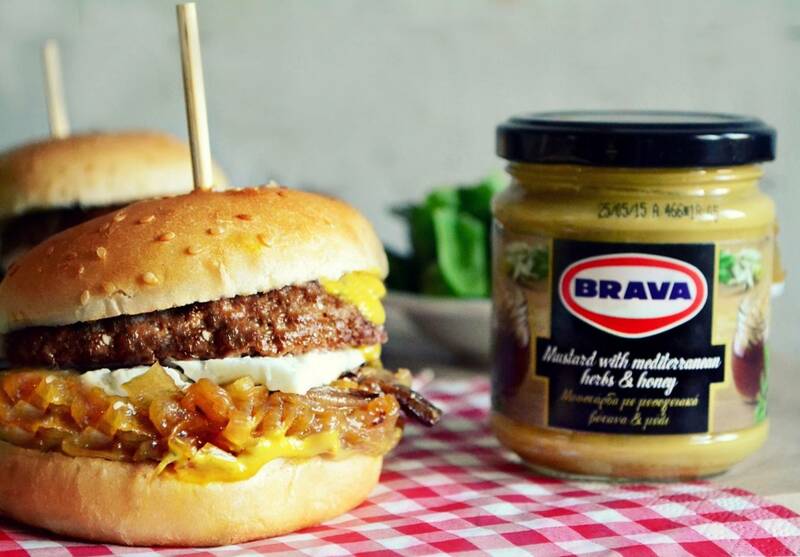 We slice the hamburger buns in half and we spread some Mustard with mediterranean herbs and honey in both slices. 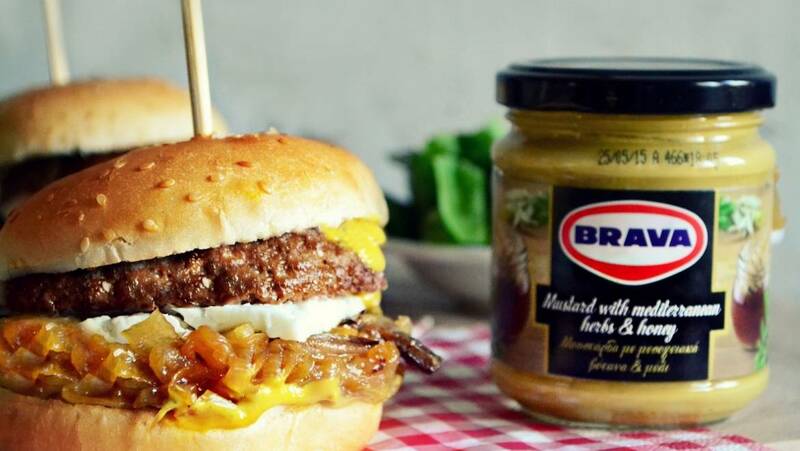 To build each burger, add the caramelised onions to the bun base, thn top with the cheese and the burger. In the end place the other bun on top and gently press together.